BETHESDA, MD--(Marketwired - Jul 18, 2016) - Generali Global Assistance ("GGA" or "the Company"), a leader in the assistance industry since its founding in 1963 and part of the multinational Generali Group, today announced the launch of Iris OnWatch ("Iris"), a comprehensive identity protection platform that minimizes the risk and fallout of identity theft through a single, easy-to-use online dashboard. Iris provides 360° identity protection services inclusive of the four pillars of identity protection - prevention, monitoring, alerts and resolution. Generali Global Assistance has protected the assets of organizations and their customers for over 50 years, and was one of the first companies to offer identity theft protection and resolution services in the United States. Iris significantly expands the Company's already strong identity protection services, and is offered as a solution to over 25 million people by leading Fortune 500 companies and some of the largest organizations in the insurance industry. The platform is customizable for the unique needs of each organization, and can be white labeled, co-branded, or Generali Global Assistance-branded in order to increase revenue, drive customer/employee engagement, enhance brand loyalty, and more. Iris addresses all areas of need for companies and their customers, offering prevention, monitoring, alerts, award-winning resolution services, and identity theft insurance. Paige Schaffer, President and COO of Generali Global Assistance's Identity and Digital Protection Services Global Unit, commented on today's news, "Identity theft is one of the fastest growing crimes in the United States, affecting millions of people and resulting in billions of dollars lost each year. It can impact individuals on a case-by-case basis, as well as hundreds of thousands of employees or customers in the event of an enterprise-wide security breach. Iris combats these increasing threats through 24/7 prevention, monitoring, alerting and resolution tools. The platform monitors assets and suspicious activity across the entire spectrum of the Internet, and alerts customers immediately to suspicious activity, all through a single online portal. Iris' award-winning resolution team works around the clock so that any identity theft issues are resolved in a timely manner in order to minimize damages." Iris provides full service identity protection solutions in one, easy-to-use online dashboard that consolidates all of the information and resources users require to monitor the status of their identity, and that serves as the gateway to GGA's identity resolution team. Through the Iris portal, customers have instant, comprehensive access to identity theft prevention, monitoring, alerts and resolution tools. Resources that educate users on identity protection best practices. A downloadable suite of digital privacy protection software, including anti-phishing and password protector tools, designed to keep hackers at bay and block threats from malicious websites. Opt-out services that reduce pre-approved credit card offers, direct mail campaigns, and marketing phone calls that thieves can use to steal personal information. Credit profile tracking across all three credit agencies. Monitoring across the deepest corners of the Internet, including the Deep Web and Dark Web, for compromised credentials and potentially damaging misuse of personal information. Alerts are sent to customers when Iris detects credit profile changes, high-risk transactions, compromised credentials, black market activity, new payday loans, and new utility accounts, among other suspicious activity. The award-winning Iris team of identity theft resolution specialists is available 24/7 to handle complex issues, restore identities and minimize damages, so that victims do not have to devote time and resources to doing so. Iris' resolution team assists with affidavit submission, creditor notification and follow-up, communications with law enforcement, credit freezes, lost wallet assistance, fraud alert placement, legal and financial counseling, IRS identity theft services, and stress management, among numerous other services. More than $1 million in identity theft insurance for reimbursement of expenses related to the recovery process through GGA's parent company, Generali Group, one of the largest insurance companies in the world. Schaffer concluded, "Our 360° approach to identity protection combined with our all-in-one identity protection portal set us apart from competitors that offer preventative solutions, monitoring, or after the fact resolution services alone. Our industry-leading resolution team minimizes the damages associated with identity theft and quickly resolves any associated issues that arise. Customer service is not just a philosophy, but also a pillar upon which our business, and the Iris platform, have been built. Our staff of certified resolution specialists provide white glove service to customers who have been victims of identity theft and can spend up to one full year liaising with credit bureaus, financial institutions, and government agencies to restore identity theft victims' assets. We are proud to offer Iris as a best-in-class, full-service identity protection platform, building off of the services that we have offered for years. We look forward to deploying Iris for organizations and their customers, thereby protecting millions of identities, and to continually implementing new enhancements to the platform over the coming months." 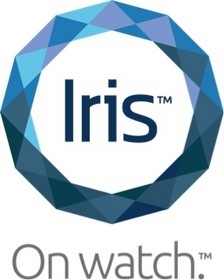 More information about the Iris identity protection platform is available at www.IrisIdentityProtection.com.